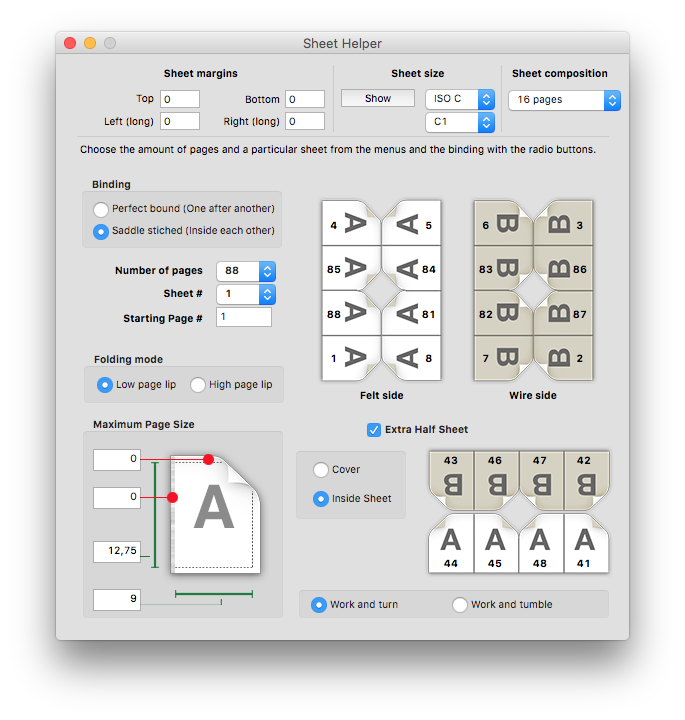 To learn which pages of your layout go to which sheet and in which position. Useful application for graphic designers and for those who make their own publications with their own printers. You can set the starting page number. Localizations: English, French (Assistant d'imposition), Finnish (Arkkiapuri). Several new sheet sizes added. There is a new window, in which you can see all the sizes as sheets or tables and you can make comparisons between their sizes. The half sheets supported in some cases.